What does the fall season mean to you? For some, it’s all about football. Others relish the changing leaves, crisp air, and the smell of pumpkin spice. At A-Pro, we appreciate all these things, with something extra: Fall is a great time to help our real estate friends provide their clients with the best experience possible. Our latest edition of From the Rafters presents news you can use, including answers to common client questions and a look at basement problems. We also dig into the importance of sewer scoping and downspouts. Plus, we’ve sprinkled in some fun fall facts to try at your next open house. From all of us at A-Pro, here’s wishing you a magnificent fall season. Let’s make it a great one! Savvy home shoppers understand that the basement demands a great deal of attention during a home inspection. In fact, its condition can reveal other issues that may be affecting the structure. Here are some of the most common problems A-Pro home inspectors typically find in basement areas. Musty Smell:  Water is a home’s worst enemy, so the inspector will leave no stone unturned when assessing basement moisture—both hidden and visible. While it doesn’t take an expert to recognize a musty stench upon entering a basement, an experienced inspector knows where and how to search for the likely culprit. The presence of water and high humidity make a basement ripe for odorous mildew, a thin white or black growth produced by mold. Finding the Source: A number of factors can contribute to a wet basement, including leaky pipes, improper exterior surface grading, foundation cracks, poorly sealed older windows, a broken sump, and a failing gutter system that allows water to cascade off the roof and saturate soil near the foundation. Even a small leak can cause big problems over time. Certified inspectors will perform both a visual inspection for water intrusion (checking for staining, carpet dampness, efflorescence, etc.) along with using a meter to detect less apparent instances of moisture. While more difficult to evaluate, finished basements may show signs of water penetration in the form of peeling wallpaper and paint, bloated baseboards, or floor tiles with visible signs of lifting. Mold: Mold is another frequent occurrence in basements with water issues. Aside from being visually unpleasant, some mold spores pose significant health risks, such as allergic reactions and respiratory distress. 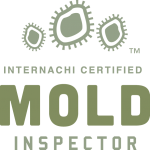 While mold identification is not part of a standard home inspection, many A-Pro inspectors are certified to test for mold. This is performed as a separate service from the comprehensive 500-point roof-to-foundation inspection. Cracks: The inspector will carefully examine the basement’s poured concrete or concrete block walls for cracks, which can be a sign of foundational problems depending on their location, type (horizontal, vertical, diagonal) and severity. While many cracks are harmless (e.g., the result of normal concrete shrinkage), some fissures can blossom into indicators that the home has severe foundation damage. This is particularly true of horizontal cracks that can form due to constant pressure against the sides of the walls. Most important, even small cracks will need to be carefully monitored to see if they are widening or spreading. Other Concerns: Your inspector will also check the basement for rotting support columns, damage to stairs and railings, door problems, substandard repairs, safety hazards and more. A trained inspector will make sure to give the downspouts their proper due in the inspection report. As a professional real estate agent, you know that not every client—whether a seller or buyer—embraces the idea of a home inspection with open arms. As the person recommending the inspection, you can play a critical role in helping the process by deftly answering objections, so clients understand how all parties ultimately benefit from a world-class home inspection. What if I don’t pass the inspection? This is your opportunity to explain to a seller what a home inspection is—an honest and impartial visual examination of the current condition of the structure. The inspector will assess the age of systems and components in the home, noting if they are functioning properly, are in need of repair, will soon need replacement, or pose immediate safety risks. It is not the inspector’s job to report on local electrical and plumbing code violations as a municipal inspector would. In short, you can’t “fail” a home inspection. However, as a seller, you can get a clearer portrait of the home before it goes on the market. This enables you to address problem areas before listing the home. I know what happens at these inspections. They’re always undervaluing homes in my neighborhood. What if I disagree with the assessment of the home? Let your client know that the home inspector is not interested in what your home is worth or its fair market value (that’s an appraiser’s job). What the inspector will do is help your client understand things they may want to take care of before selling. Why do I need a home inspection? Are you saying I haven’t been a careful homeowner! The overly sensitive home seller may bristle at the suggestion that there could possibly be any defect in the home they have so carefully maintained. Assure them that a Pre-Listing home inspection is not meant to be an indictment of their skills as a homeowner. To the contrary, it can highlight the overall quality of the house. Explain that an assessment by a respected third party will hold a great deal of weight to a homebuyer who will be thrilled that you have gone the extra mile to have the condition of your home evaluated. This home purchase is going to cost me a fortune as it is. I’ll just skip the inspection and save the money. Alternatively, maybe I’ll just do it myself.The modest investment in a home inspection is nothing compared to the headaches and costs of entering into a sale without complete knowledge of the condition of the home. It’s a risk no one should take. Moreover, if you want a thorough and impartial home inspection, it is always best to hire an experienced home inspector with specialized training and no emotional attachment to the home. Since I’m hiring the inspector, I’m expecting an excellent report. After all, I’m paying for it! You wouldn’t pay a doctor to tell you all is well even though your blood work indicates underlying problems. The same goes for a home inspection. You have hired the inspector to deliver an honest report with no sugarcoating. What you should expect is fair and balanced reporting that details trouble spots while also highlighting the positive aspects of the home. One of the more unpleasant moments new homeowners encounter is the sight of water backing up into their home or the smell of raw sewage due to a clogged sewer line. Even more troubling can be a significant rise in water and sewer bills when mainline leaks are present. Some home inspectors perform “sewer scopes” of the main sewer line in addition to a complete visual/operational inspection. This valuable service can identify concerns before your client’s signs on the dotted line. What is a sewer scope? During a sewer scope inspection, the inspector will insert a small video camera into the sewer line through the sewer cleanout (in the basement, crawlspace, etc.) to check on the length of pipe that can be accessed by the camera—ideally, all the way to the main city line. The scope provides visual evidence of the sewer line’s condition and whether it needs to be cleaned, repaired, unclogged or, in worst case scenarios, replaced. What problems will a sewer scope inspection reveal? Even a slightly leaky sewer pipe will draw the attention of roots that are seeking moisture. The invasive roots of large nearby trees can enter a pipe through holes and gaps. Over time, they can tangle themselves into a twisted obstruction inside the line. Left not inspected, tree roots can lead to a complete collapse of the sewer line. If problems are discovered, the home inspector will recommend an appropriate course of action, such as root cleaning, descaling, hydro-jetting, repair or replacement. A re-inspection should follow these procedures. The inspector can also advise your clients on steps to maintain the sewer line’s proper function. It won’t be long before trick-or-treaters dressed as superheroes, ghouls, and princesses will be arriving at doorsteps in search of enough sweets to keep those in the dental profession occupied until the next millennium. Statistics from the National Confectioners Association say that Americans buy a staggering 600 million pounds of candy on Halloween. To put this in perspective, an Airbus A380, the world’s largest passenger jet, weighs about a million pounds. Fall also means the start of school. If you’re old enough to remember the days of toting metal lunchboxes with matching thermoses featuring your favorite TV shows, you’ll want to rummage through the attic to see if you still have them. In mint condition, the 1954 Superman lunchbox has sold for up to $16,000. Jetsons, Beatles, Rocky and Bullwinkle, Dudley Do-Right, Underdog, Star Trek, and other lunchboxes fetch prices up to $2,500. If the thought of raking leaves makes you already wish for summer, think about this: The largest maple leaf on record was a titanic 20.55 inches long with stem measuring 12.79 inches. It was found by a family in, of course, Canada, in December 2010. Yep, time to buy a bigger rake. When your clients need home inspections this fall– or any season – give your local team at A-Pro a call. We’ve performed hundreds of thousands of inspections from coast to coast since 1994. Reach us in Oklahoma City at 405-225-3353 or schedule an inspection online here.